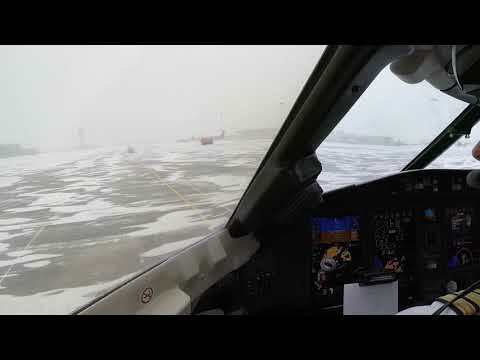 Landing in the snowy Pulkovo Airport (ULLI), St.Peterburg, Russia. (GoPro 5 HD 1440p60) | Rating: 5! 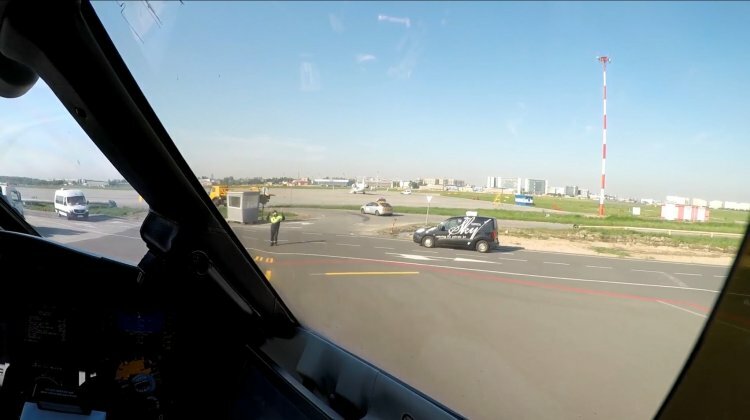 The video shows approach, landing and taxi of a heavy business jet Bombardier Challenger 605 on runway 10R of Pulkovo International Airport (IATA: LED, ICAO: ULLI) in St.Peterburg, Russia. It consists of 3 terminals, Pulkovo-1 (serving mostly domestic flights) and Pulkovo-2 (international flights), and Pulkovo 3 (serving business aviation). The airport has two main runways. 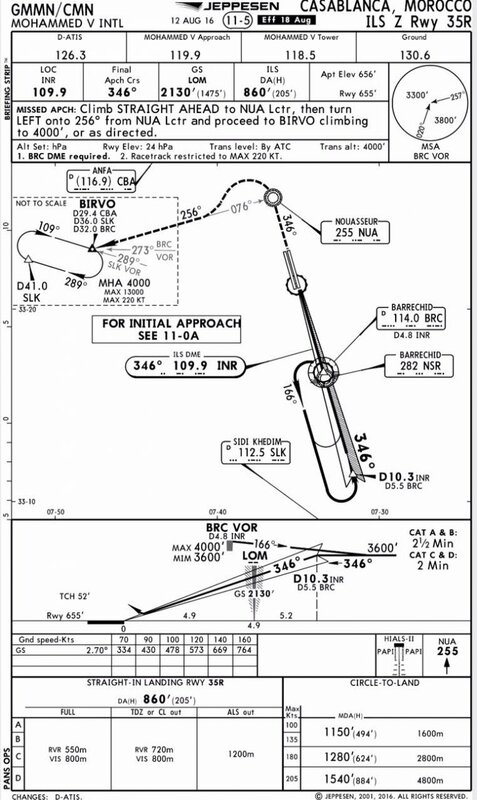 Runway 10R/28L is 3780 m long and 60 m wide, it has asphalt surface on the base made of reinforced armored concrete. The second runway is 3397 m long and 60 m wide, it has asphalt surface on the base made of reinforced cemento-concrete. The airport serves as a hub for Rossiya Airlines (formerly Pulkovo Aviation Enterprise), and as focus city for Nordavia. Pulkovo International Airport is responsible for serving the citizens of Saint Petersburg, as well as the Leningrad Oblast: a total of 6,120,000 people. The field's IATA code of "LED" derives from the city's previous name, Leningrad. 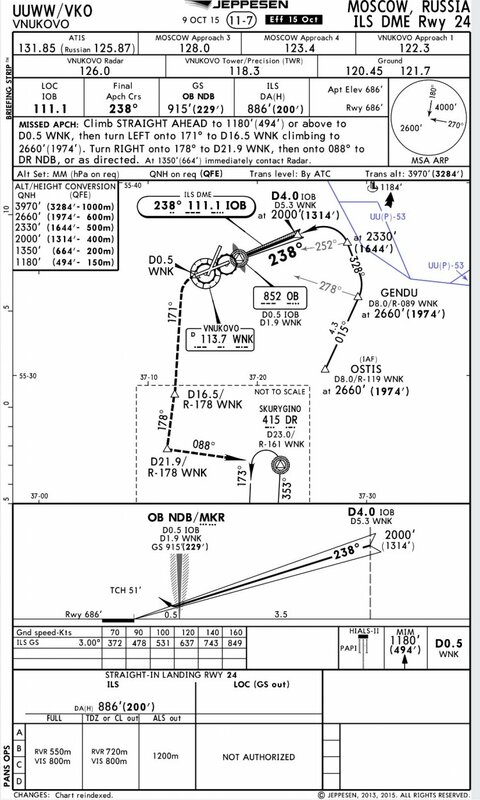 IFR approach carried out by snowy and cold winter day in real IFR and light windy conditions. Taxiing ends on the business aviation apron 6, at parking stand number 610. The video was filmed by GoPro 5 camera. Air parade in Riga | Rating: 5! Airbaltic took part in the airparade in honour of Latvia's centenary with airbus A220-300 that is decorated in the colours of the Latvian national flag and carries the name of Latvian capital Riga. AirBaltic the first time ever with Latvian residents marked the Day of Proclamation of the Republic of Latvia. Landing in autumn Sochi Intl. Airport (URSS), Russia. (GoPro 5 HD 1440p60) | Rating: 5! 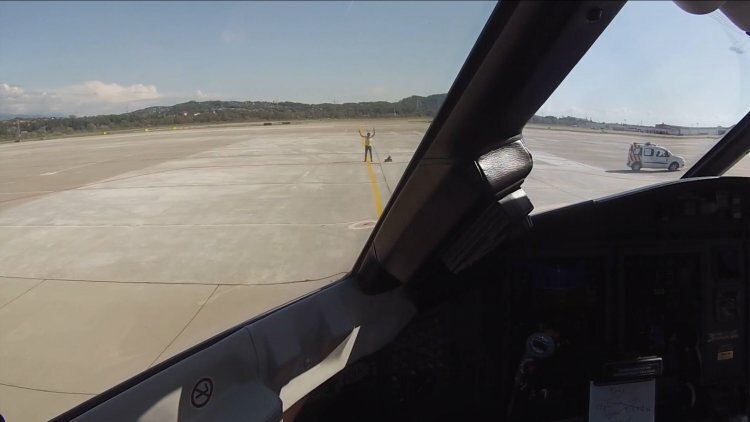 The video shows approach, landing and taxi of a heavy business jet Challenger 605 on runway 02 of Sochi International Airport (IATA: AER, ICAO: URSS). It is an airport located in Adler District of the resort city of Sochi, on the coast of the Black Sea in the federal subject of Krasnodar Krai, Russia and has two artificial runways. Because of the presence of mountains to the north and north-east of the airport, take off and landing are only possible on the sea side of the facility. The airport authority plans to extend the runway up to 3.5 km, with a portion overlapping the Mzymta River at a width of 300 m.
The airport is among a ten largest Russian airports with an annual passenger turnover of 2.4 million people and has been recognized as the best regional airport at the 3rd annual forum "Development of Russia and CIS airports – 2013", held by Adam Smith Conference. Sochi International Airport was the main gateway during the 22nd Olympic Winter Games. 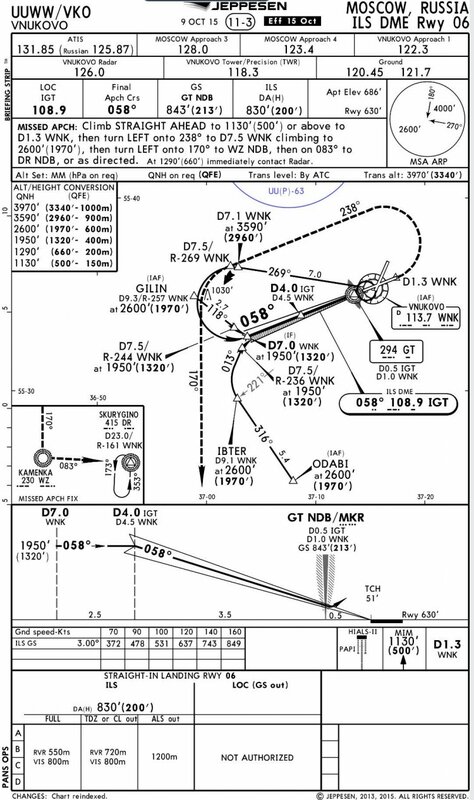 Approach carried out by the autumn sunny day in light tailwind and expected windshear meteo conditions. Taxiing ends on the terminal parking spot number 17. The video was filmed by GoPro 5 camera in HD 1440p quality. Landing in the evening Genoa Airport (LIMJ), Italy. (GoPro 5 HD 1440p60) | Rating: 4.4! 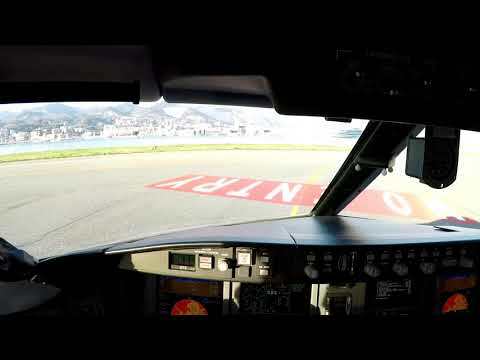 The video shows approach, landing and taxi of a heavy business jet Challenger 605 on runway 28 of Genoa Airport (IATA: GOA, ICAO: LIMJ) named as Cristoforo Colombo Airport, and also commonly named Genoa-Sestri Ponente Airport, after the city district where it is located. It is an international airport built on an artificial peninsula, 7.4 km west of Genoa and is the most important airport of Liguria which serves the city and Port of Genoa, as well as considerable population in Southern Piedmont (Asti and Alessandria Provinces, Southern areas of Cuneo Province) and Southern Lombardy (Province of Pavia). Airport is currently operated by Aeroporto di Genova S.P.A., which has recently upgraded the airport complex. 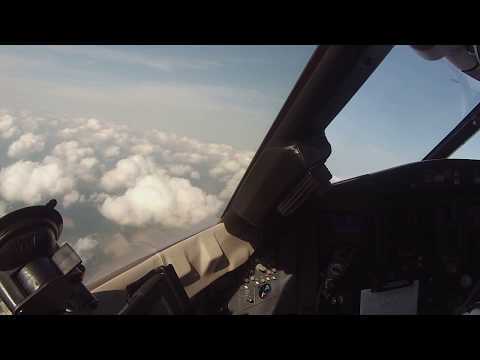 IFR approach on the video carried out by summer's evening in the perfect light windy and the warm weather conditions. Taxiing ends on the parking spot number 209 of the Apron at the business terminal. The video was filmed by GoPro 5 camera. 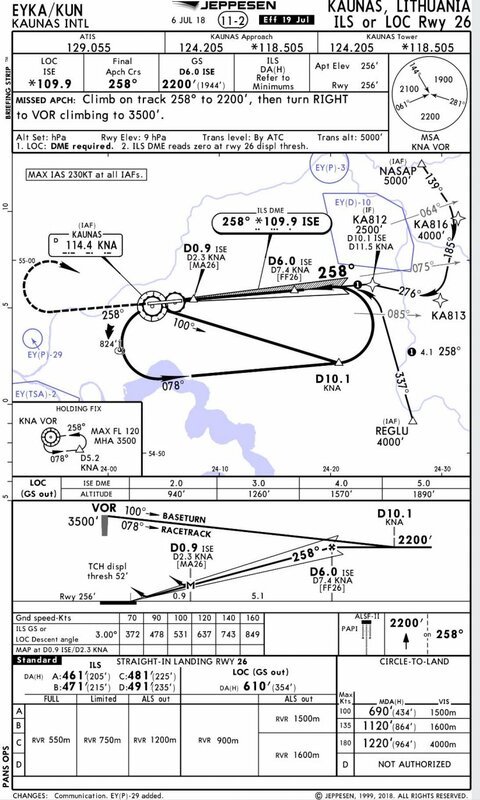 Touch and go in Kaunas Intl. Airport (EYKA), Lithuania. (GoPro 4 HD 1440p60) | Rating: 5! 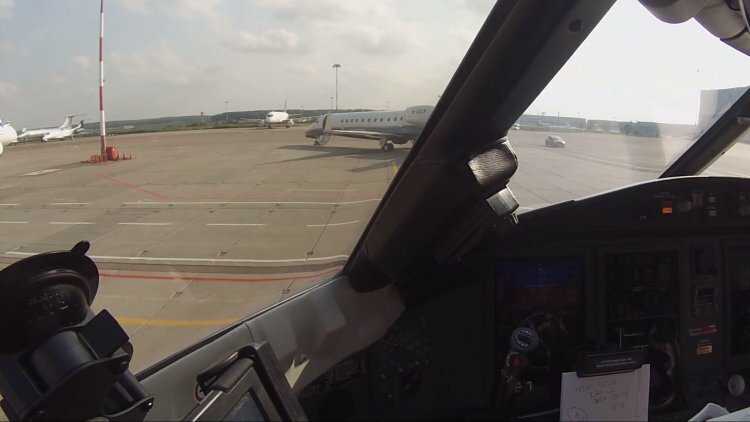 The video shows ILS approach, and touch and go of a heavy business jet Challenger 605 on runway 26 of Kaunas International Airport (IATA: KUN, ICAO: EYKA). 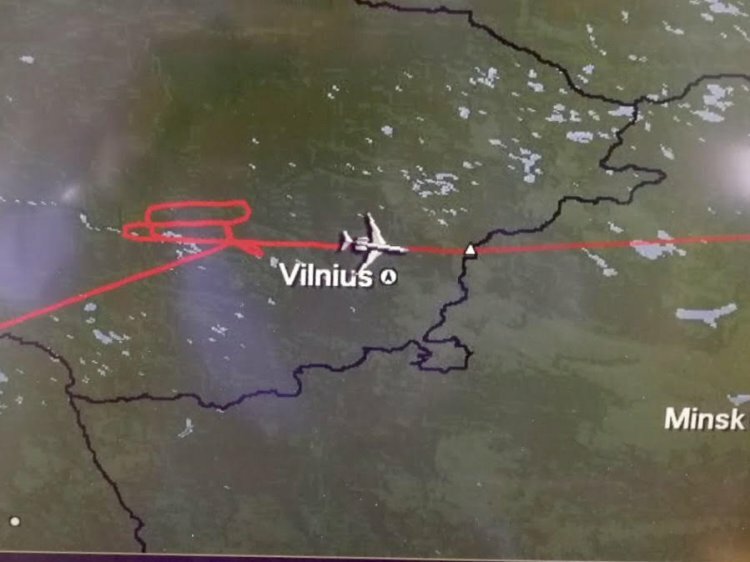 It is a second-busiest civil airport in Lithuania after Vilnius Airport and the fourth-busiest in the Baltic states and located in the central part of the country, 14 km northeast of the Kaunas city centre and 100 km west from the capital Vilnius. It started operations in 1988 when airport activities were moved from the historic S. Darius and S. Girėnas Airport, located in the central part of Kaunas city. In 1991, after Lithuania's independence, it gained the status of an international airport and in 1996 it became a member of Airports Council International and began to take part in the activities of the "Lithuanian Airports" association. Kaunas Airport was used by YAK-40, and YAK-42 of the local Aeroflot branch since 1988. The flight range was moderate and there were some scheduled flights from Kaunas to Kiev, Kharkiv, Moscow, Odessa, Simferopol, and Shiauliai. Regional airline Air Lithuania based in Kaunas operated scheduled and charter flights from Kaunas to Budapest, Billund, Hamburg, Malmö, and Oslo from 1993 till 2004. Later Ryanair, Air Baltic, Wizzair and LOT Polish Airlines also started operating flights to Kaunas. The runway of Kaunas Airport is 3250m long and 45m wide, and is categorized with a 4E ICAO reference code. This enables to handle aircraft with up to 45m wing span and 14m main gear wheel span. The runway is also equipped with CAT II ILS equipment which allows Kaunas Airport to receive aircraft with minimum visibility meteorological conditions. A new taxiway to improve the runway system was built in 2009. Further taxiway improvement works started in June 2013, expanding the southern part of the airport to construct a new 190m-long and 23.2m-broad runway by the end of 2014. 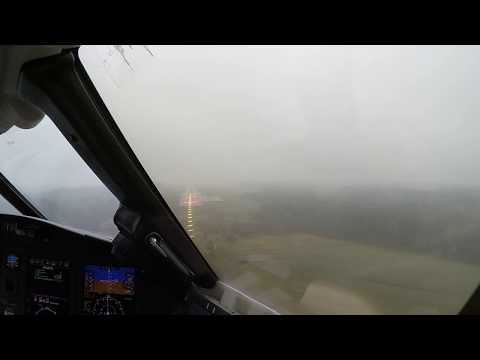 IFR approach for RW26 on video carried out by day in the real IFR and foggy weather conditions. The video was filmed by GoPro 4. 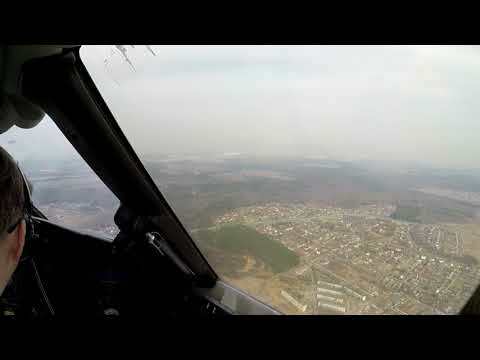 Short landing in Vnukovo (UUWW), Moscow, Russia. (GoPro 4 HD 1440p60) | Rating: 5! 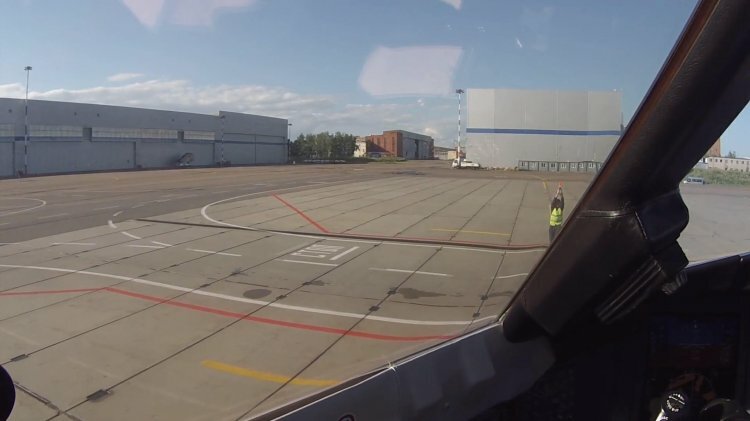 The video shows approach, short landing and taxi of a heavy business jet Challenger 605 on runway 01 of Moscow's Vnukovo International Airport. During the approach you can see light windy day VFR meteo conditions. Short landing has taken place on the video. Taxiing ends on the parking spot number 55A of the Apron 4 at the business terminal "Vnukovo 3". The video was filmed by GoPro 4 camera. 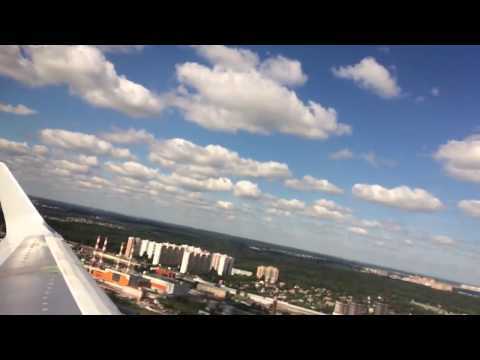 Landing in sunny Pulkovo Airport (ULLI), St.Peterburg, Russia | Rating: 5! 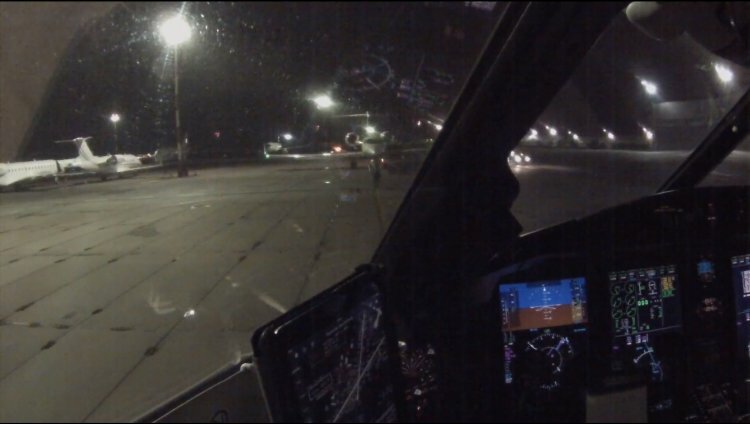 The video shows approach, landing and taxi of a heavy business jet Challenger 605 on runway 28R of Pulkovo International Airport (IATA: LED, ICAO: ULLI) in St.Peterburg, Russia. It consists of 3 terminals, Pulkovo-1 (serving mostly domestic flights) and Pulkovo-2 (international flights), and Pulkovo 3 (serving business aviation). 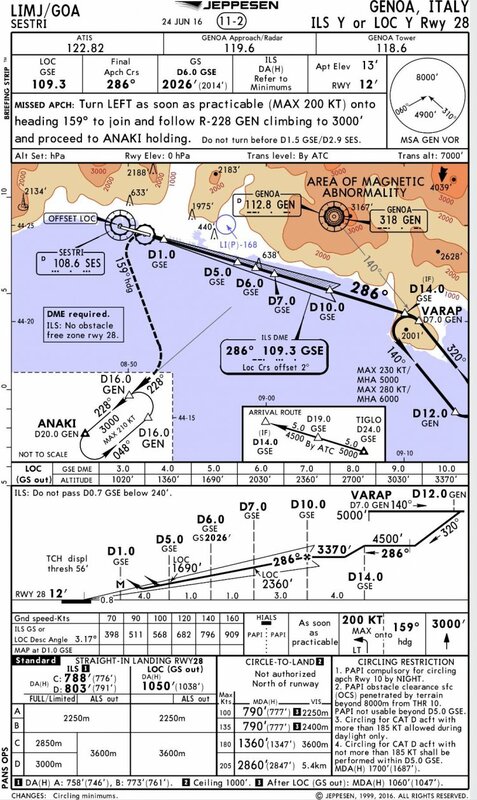 IFR approach carried out by day in CAVOK and windy conditions. Taxiing ends on the business aviation apron 6, at parking stand number 600. The video was filmed by GoPro 4. Evening landing in mist Doha International Airport (OTBD), Qatar. GoPro 3 HD 1080p) | Rating: 5! 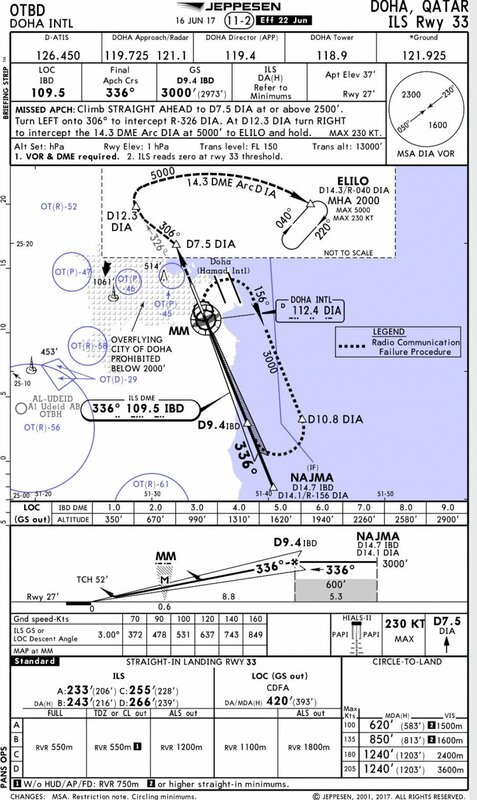 The video shows ILS approach, landing and taxi of a heavy business jet Challenger 605 on runway 33 of Doha International Airport (ICAO: OTBD) located in Doha, Qatar. It was Qatar's commercial international airport until Hamad International Airport opened on 27 May 2014. 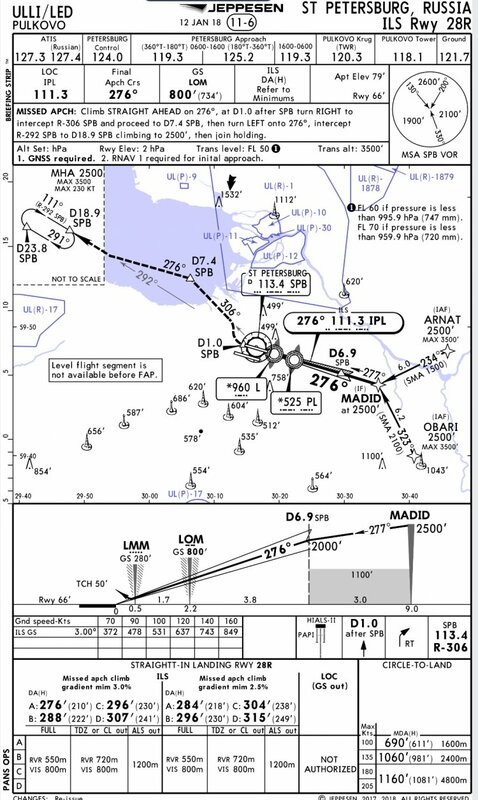 While all scheduled commercial traffic ceased, the airport site and existing runway is still used by Qatar Emiri Air Force, Rizon Jet, Gulf Helicopters and business aviation aircraft. The airport suffered from overutilization, even though it had been expanded numerous times. Before the opening of the new airport, the capacity stood at 12 million passengers per year. Its 4,570-metres runway was one of the longest at a civil airport. It was the main base of Qatar Airways. In the past, the airport was mostly used by Qatari holiday makers and foreign workers coming for the oil and gas sector. As Qatar Airways expanded more rapidly, the airport grew and attracted more people such as holiday makers and transit travelers. In 2010, it was the world's 27th busiest airport by cargo traffic. IFR approach for RW 33 on the video carried out by winter's evening in the mist light windy and warm weather conditions. Taxiing ends on the parking stand A13 of the main apron. The video was filmed by GoPro 3 camera in maximum resolution. Landing in abandoned Casablanca Mohammed V Airport (GMMN), Morocco. GoPro 3 HD 1080p) | | Rating: 5! 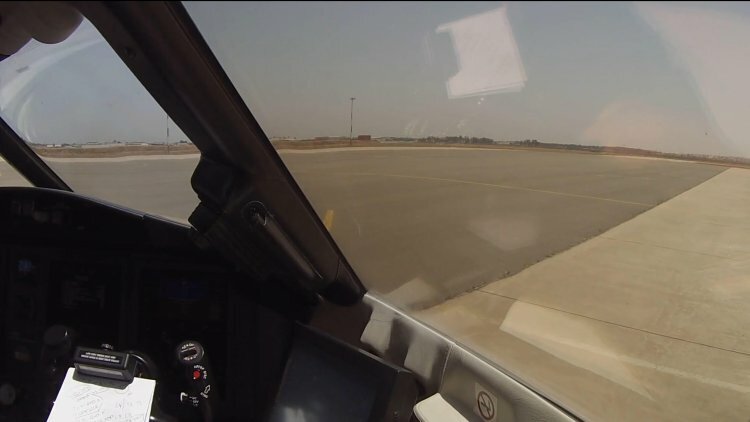 The video shows instrumental approach, landing and taxi of a heavy business jet Challenger 605 on runway 35R of Mohammed V International Airport (IATA: CMN, ICAO: GMMN). It is an international airport serving Casablanca, Morocco. Located in Nouaceur Province and operated by National Airports Offic). With just under 8 million passengers passing through the airport in 2014, it was the busiest airport in Morocco and the fourth busiest in Africa. The airport serves as hub for Morocco's flag carrier Royal Air Maroc, Jetairfly, Air Arabia Maroc and RAM Express. 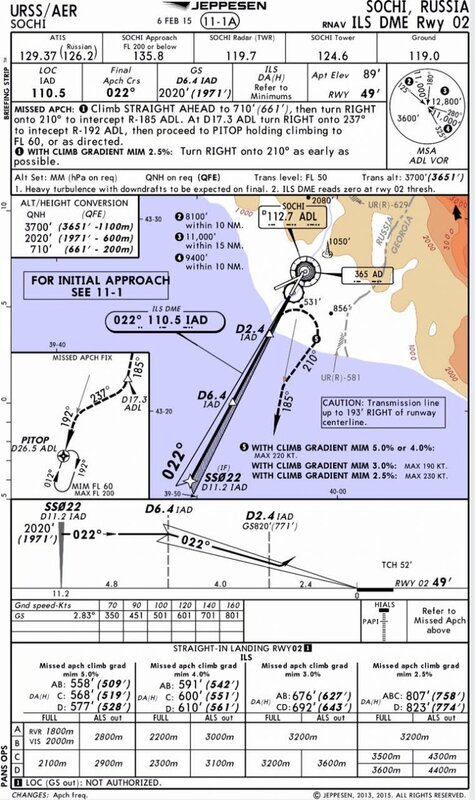 IFR approach carried out by day in good meteorological conditions with light wind. Taxiing ends on the business aviation apron, at parking stand number F6. The video was filmed by GoPro 3 camera in the maximum possible resolution. 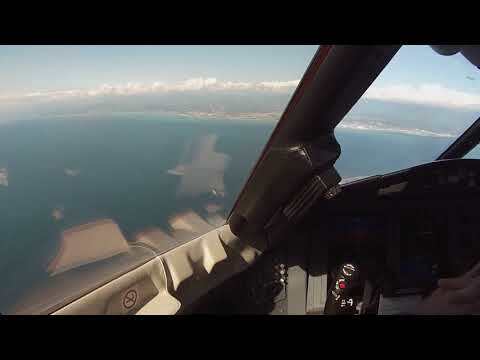 Landing in windy Sochi Intl. Airport (URSS), Russia. GoPro 3 HD 1080p) | Rating: 5! 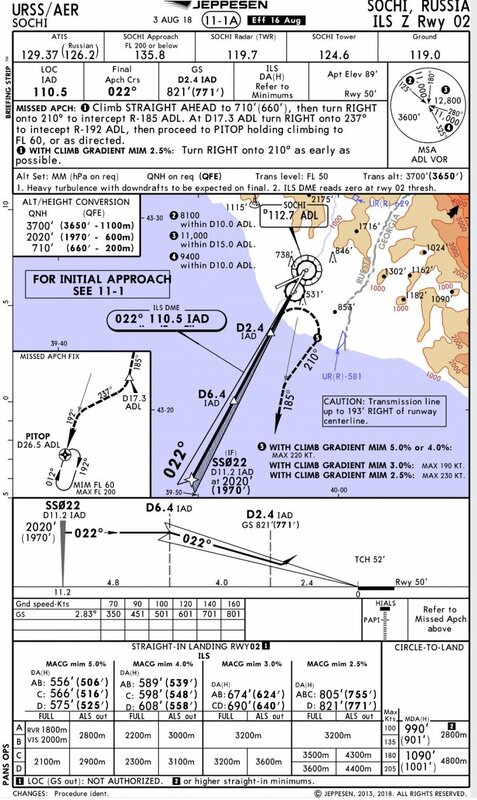 Approach carried out by autumn day in windy and forecasted windshear meteo conditions. Taxiing ends on the VIP terminal parking spot number 37. The video was filmed by GoPro 3 camera. 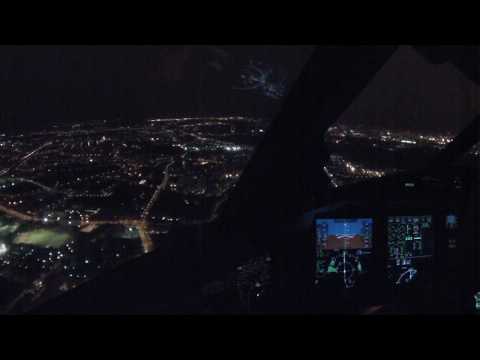 Night landing in Le Bourget (LFPB), France. (GoPro 3 HD 1080p) | Rating: 4.7! 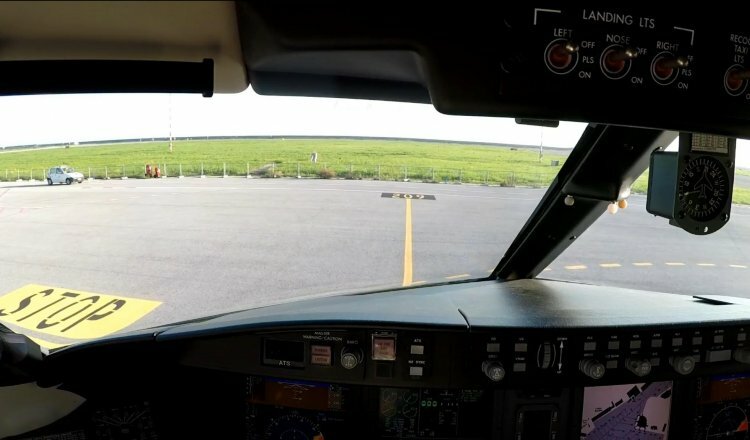 The video shows approach, landing and taxi of a heavy business jet Challenger 605 on runway 07 of Paris–Le Bourget Airport (IATA: LBG, ICAO: LFPB). This is an airport located within portions of the communes of Le Bourget, Bonneuil-en-France, Dugny and Gonesse, 11 km north-northeast of Paris, France. Once Paris' principal airport, it is now used only for general aviation including business jet operations. It also hosts air shows, most notably the Paris Air Show. Approach and landing carried out in the nice calm evening. Taxiing ends on the parking at the hangar of Advanced Air Support Handling office. Landing on the battered RW19 in Vnukovo (UUWW), Russia. (GoPro 3 HD 1080p) | Rating: 5! 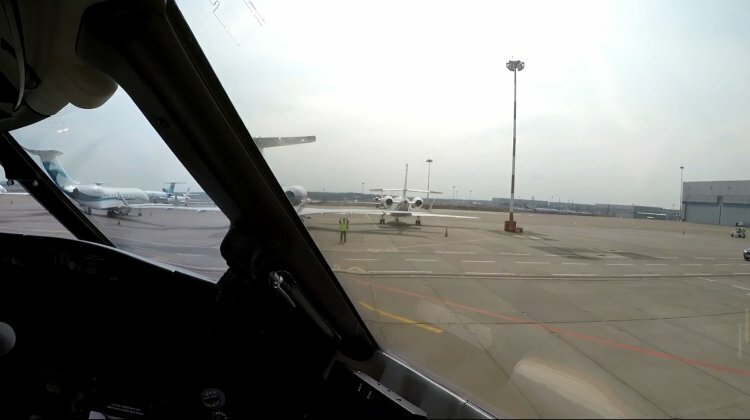 The video shows approach, landing and taxi of a heavy business jet Challenger 605 on runway 19 of Moscow's Vnukovo International Airport (ICAO: UUWW, IATA: VKO). 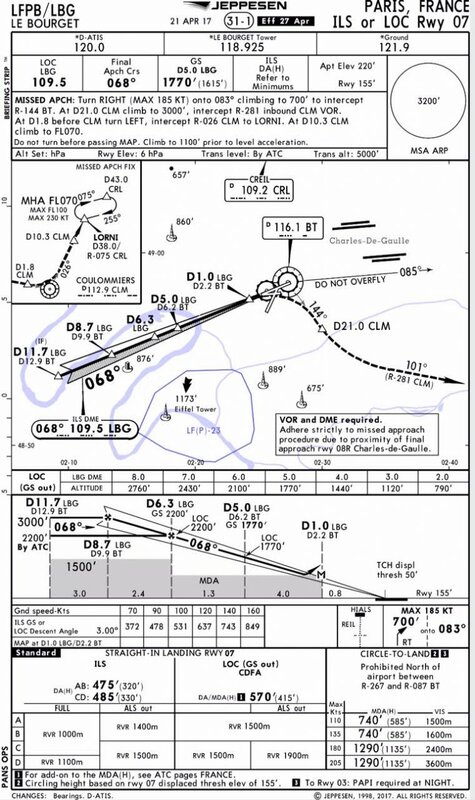 Normal pattern followed by ILS approach carried out by nice sunny evening. Normal landing has taken place on the video, but the runway surface quality is quite worsened and the restoration must take place. Taxiing ends on the parking spot number 54 of the Apron 4 at the business terminal "Vnukovo 3". The video was filmed by GoPro 3 camera in the maximum possible resolution. 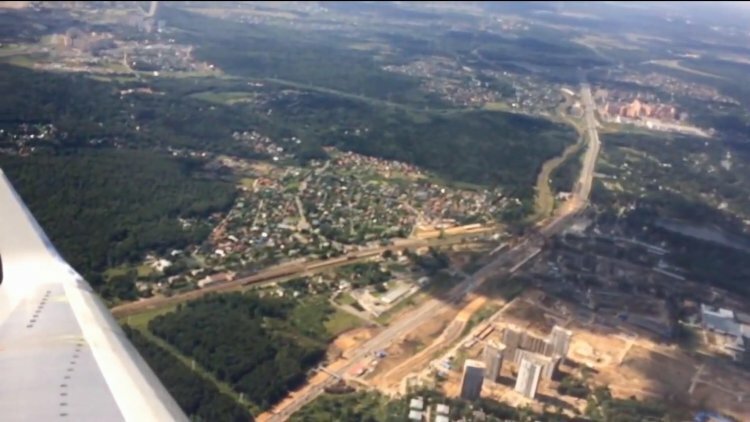 Take off from RW01 in Vnukovo (UUWW), Russia. (GoPro 3 HD 1080p) | Rating: 5! 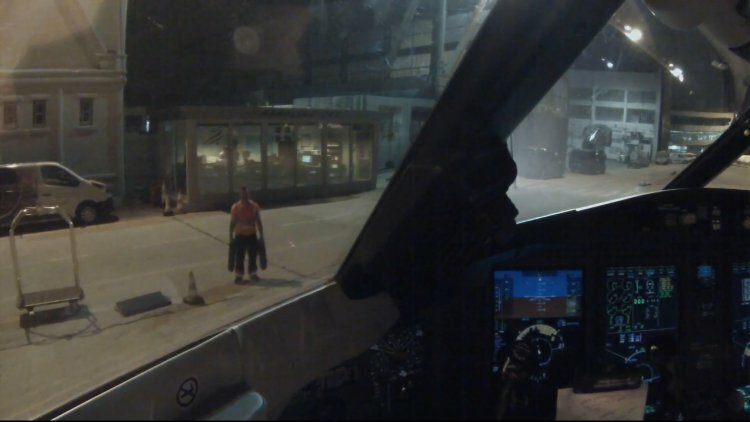 The video shows take off from runway 01 of Moscow's Vnukovo International Airport (ICAO: UUWW, IATA: VKO). Nice departure has been performed at the sunny and calm summer day using SID Ivanovskoye 01D (UM01D). During the take off you can see the whole take off process since the rolling until the time aircraft flew over the clouds. 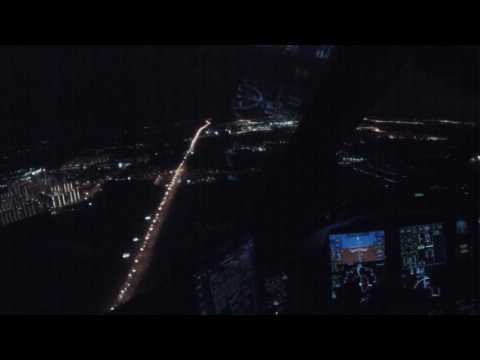 Soft landing in Vnukovo (UUWW) at night, Russia. (GoPro 3 HD 1080p) | Rating: 5! The video shows approach, landing and taxi of a heavy business jet Challenger 605 on runway 24 of Moscow's Vnukovo International Airport. 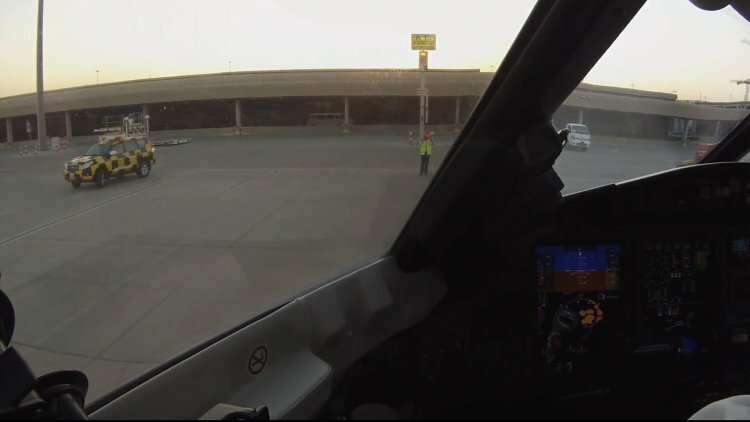 UMBEG24A STAR followed by ILS DME approach carried out by dark night is presented on the video. During the approach you can see light windy night VFR meteo conditions. Soft landing has taken place on the video. Taxiing ends on the parking spot number 54 of the Apron 4 at the business terminal "Vnukovo 3". 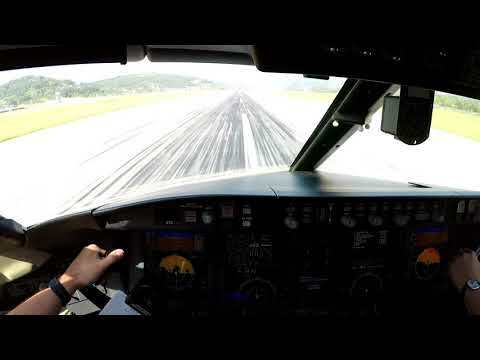 Landing in windy Vnukovo (UUWW), Russia (GoPro 3 HD 1080p) | Rating: 5! The video shows approach, landing and taxi of a heavy business jet Challenger 605 on runway 06 of Moscow's Vnukovo International Airport. 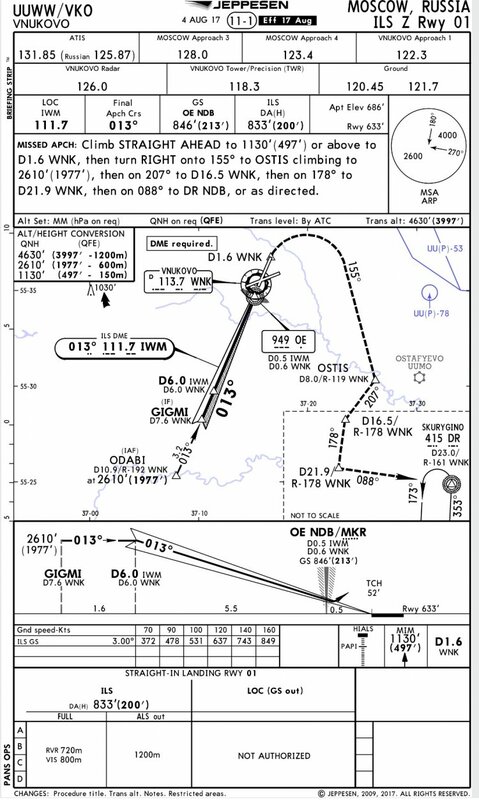 Vectors followed by ILS DME approach carried out by windy evening. 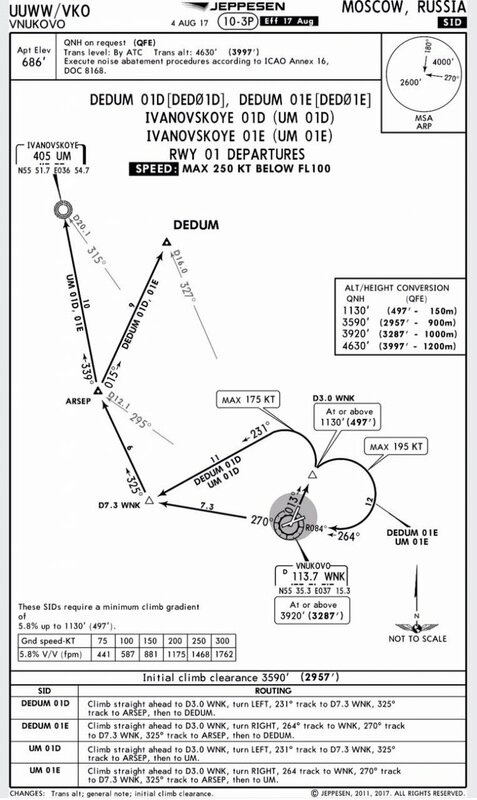 During the approach you can see that wind was changed from well crosswind to to the headwind condition. 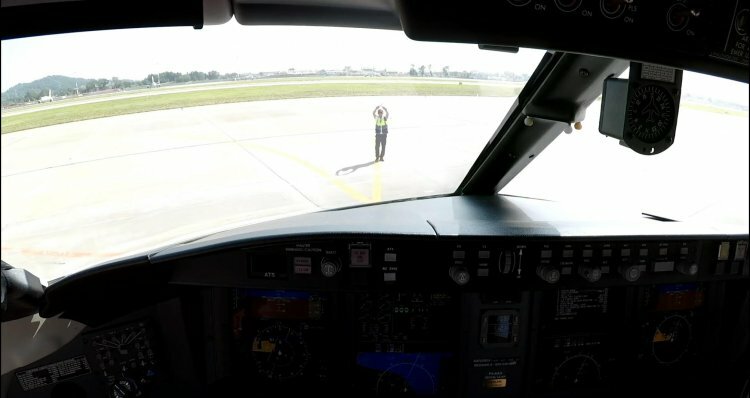 Normal landing has taken place on the video. Taxiing ends on the parking spot number 54 of the Apron 4 at the business terminal "Vnukovo 3". The video was filmed by GoPro 3 camera in the maximum possible resolution.